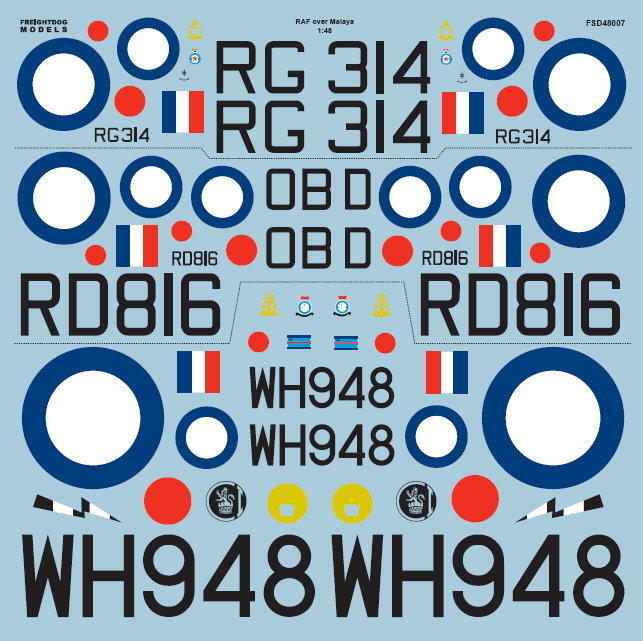 This the artwork for our next 1/48 scale decal sheet entitled 'RAF over Malaya'. Subjects included are Bristol Bristol Beaufighter TF.10 RD816 OB-D of 45 Sqn, Changi 1948; DH Mosquito PR.34a of 81 Sqn, Seletar 1955 (Last operational Sortie of an RAF Mosquito); EE Canberra B.Mk.6 WH948 of 101 Sqn Butterworth 1956 during 'Operation Mileage'. This is a limited edition of 200 sheets, going on sale at beginning of November, and available to pre-order from our website now.